The 24-year-old accused of gunning down and killing a Lawrence man early Friday at a Methuen vape shop was ordered held without bail today at his arraignment for murder. Remy Salazar, also of Lawrence, was ordered to return to Lawrence District Court May 3 for a probable cause hearing. He is accused of killing 30-year-old Kelvin Frias at a gathering at the Mr. Hookah vape shop, 170 Broadway, Methuen. Salazar was arrested in Nashua, N.H., Friday afternoon, on unrelated warrants after being tracked to a home there by the Massachusetts State Police Violent Fugitive Apprehension Section. The Essex State Police Detective Unit and Methuen Police obtained an arrest warrant Saturday afternoon charging Salazar with murder. Salazar appeared in Nashua District Court Monday and waived rendition, allowing his immediate return to Massachusetts to face the murder charge, according to Carrie Kimball, spokeswoman for Essex County District Attorney Jonathan W. Blodgett. Frias died Saturday morning after being treated at a Boston hospital for a gunshot wound to the head. Methuen Police Chief Joseph E. Solomon said Friday the shooting was not a random act and believed to be specifically related to a prior incident at that location. 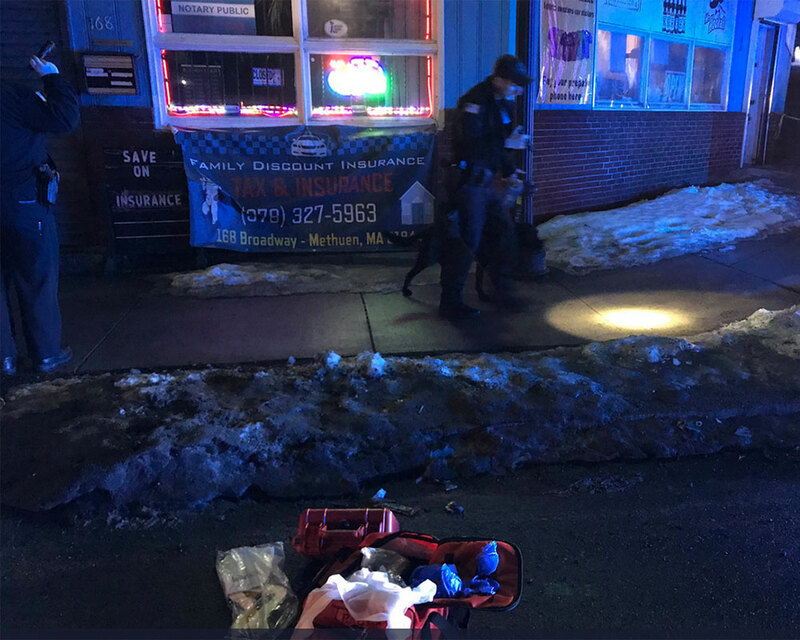 A gun was recovered and police, including K-9 team Officer Michael Havey Jr. and his dog Rumi, investigated the area on Broadway near Oakland Avenue.